For anyone seeking a measure of stability in the work place, becoming a PSL coach should be the last option. This was evident by a survey just released by Kickoff magazine that there have been no fewer than 33 changes in the head coaching role of the 16 Premier League clubs in the last two years, with only the University of Pretoria’s Steve Barker surviving soccer’s version of “The St Valentine’s Massacre” during the past 24-month period. 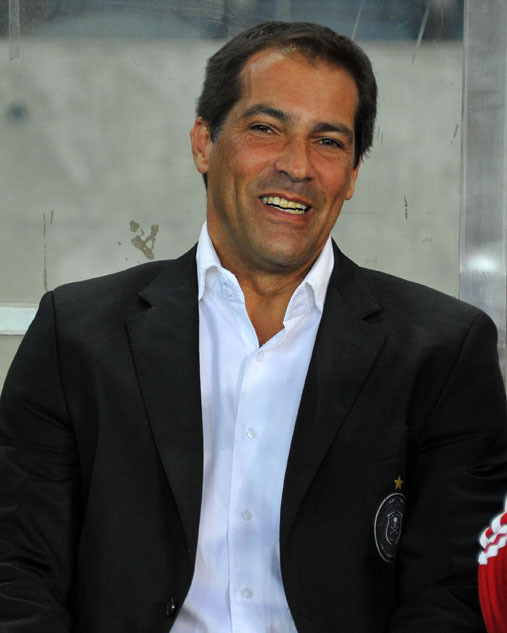 On Tuesday, the 34th change of this kind appeared imminent with suggestions that former Wits University and Orlando Pirates coach Roger de Sa is likely to to take over at Ajax Cape Town. Ajax boss Ari Efstathiou confirmed the discussions. It is widely believed in soccer circles that Ajax officials are waiting to get Tuesday night’s Premier League game against Orlando Pirates out of the way before appointing the new coach – another pointer that suggests it could be De Sa. Previous coaches of the club, whose parent organisation is the renowned Ajax Amsterdam club of Holland, were Maarten Stekelenburg, Jan Pruijn, Jan Versleijen, Ertugral and briefly Taylor. Polokwane City are another club who have been under the control of five coaches in little more than one season, with number five Boebie Solomons seemingly having hit the jackpot by turning the fortunes of the promoted team around in impressive fashion. Pirates pulled former Chiefs coach Vladimir Vermezovic out of the hat as their new coach a couple of days ago after former De Sa assistant, Eric Tinkler, had been in charge for a mere three games. In contrast to the coaching chaos, Tukkies have stuck firmly with Steve Barker in their coaching hot seat for almost six years. The former SuperSport and Wits midfielder is nephew of former Bafana Bafana coach Clive Barker, who was not so lucky after joining Wits last season. He was replaced by former SuperSport coach Gavin Hunt, but is currently seemigly sitting pretty in Mpumelanga with Black Aces. And if De Sa does end up at Ajax, it’s anyone’s guess who will be number 35 in the PSL coaching merry-go-round.